We are now running on a new, and hopefully much-improved, server. In addition we are also on new forum software. Any move entails a lot of technical details and I suspect we will encounter a few issues as the new server goes live. Please be patient with us. It will be worth it! :) Please help by posting all issues here. The forum will be down for about an hour this weekend for maintenance. I apologize for the inconvenience. Please review the Forum Rules frequently as we are constantly trying to improve the forum for our members and visitors. Supports: NFA, ERPO and Bump Ban with fun Backtrack/Denial + Kewl Bling! 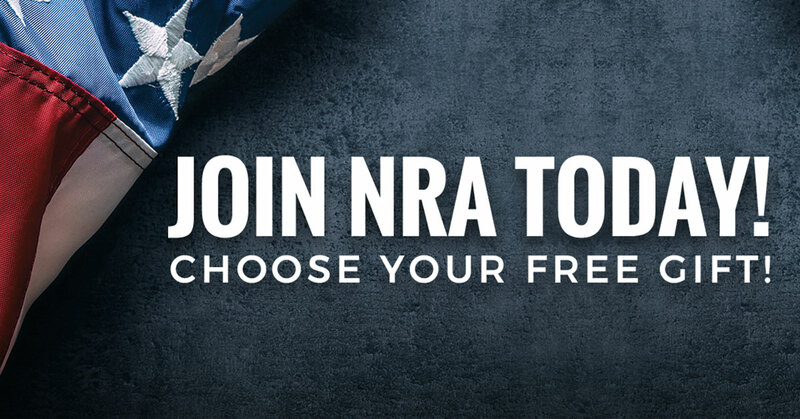 I just took a personal stand for my freedom by joining NRA. You should too! The National Rifle Association is America’s longest-standing civil rights organization. Together with our more than five million members, we’re proud defenders of history’s patriots and diligent protectors of the Second Amendment. Half the price. Compare the stances! Can we get fellow gun owners to be smart and switch? questions are, where will they stand on the issues, lets say 20 years from now. Like i always said, everything start out with good intention, then when the greedy benefits are seen, corruptions start. Alas, HP995...you forget a portion [unknown] of membership besides going to the ILA group goes to support the NRA’s training section which supports LE, military, and citizen’s firearm training, all disciplines; range development activities; BSA’s er, uh, Scouts shooting sports activities; other activities and the firearm museum ~ absolutely outstanding collection and FREE & open to the public. Now ILA was created in the early 70’s as a separate corp of the whole and they advertise like mad and ‘spearhead’ the political nonsenses you mentioned. NRA is more pro 2A now, than before, as sad, a commentary on the NRA as that is. i believe NRA was more pro 2A when they first established. Absolutely not. They were a "sportsman club " hunters etc. No interest in the RTKABA beyond that. They supported both NFA and GCA and insisted on NICS. A board takeover several years ago made them more pro RTKABA than before but they remain a weak kneed org on the rtkaba to this moment. what sportsman doesn't want to fight for their RTKABA? You tell a hunter you are taking away their hunting rifle and see what happens. OK. Now tell him they are taking away your Glock 17 or AR 15 and see what happens. Hell tell you you don't NEED those to hunt with and be fine with your losing them. can you dig up some articles of when the NRA was not pro 2A? i like to read some or any NRA members opinion to that matter. With a caveat on formation of ILA...there was a bloodless coup and the board was unceremoniously replaced enmasse in a marathon board meeting, and ILA became a political child. I love it when the question FOLLOWS the answer! Many have been posted on OCDO - articles about NRA and opinions of NRA members which include myself and a number of others. I did anticipate such questions for this thread, so I included one link as an easy sample. However, the new forum auto grabs some info from the linked site, which is very nice technically but which can be confusing when the site's own advertising gets involved and injects a bunch of other PR text around the link. So here it is again - don't trust the forum link previews too much - sometimes you have to actually click the link with your finger and see the linked info with your own eyes! That's one example from the horse's er, big fat mouth! There are others that have been posted previously here, and I will add a bit more if I have time. I encourage any pro or con examples! But it gets worse! NRA has the distinction of working hard to get gun control started in the first place. I don't want to spam the same links over and over (especially the way the forum blows each link up into a preview) so I've pasted them here discreetly, but please don't be lazy, if you want to know, click and have a look! The info is no secret. This is not raspy voice stuff. It's all quotes from NRA leaders themselves. There's probably a lot more, feel free to post, but we seem to have two options - reforming the NRA or boosting another org to fill its place.